Being an expat can be tough sometimes but finding a reliable VPN service to use for your needs as an expat can be even tougher. In this guide we’re taking a look at the Best VPN for Expats in New Zealand and finding out which providers are most suited for your needs. 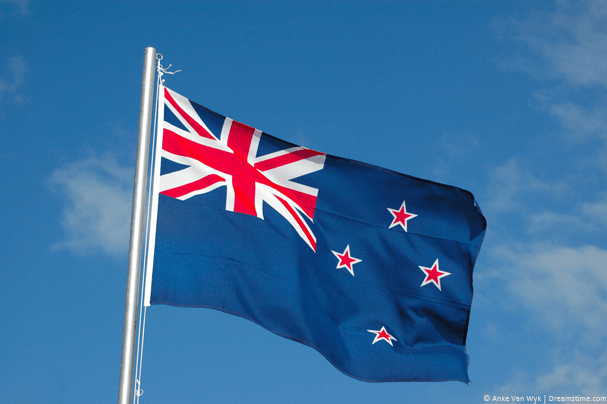 We’ll be referring to British expats in this guide but it’s also suited if you’re an expat in New Zealand from another country too. Before we get started on comparing VPN services let’s take a look at a few of the most common reasons you’ll want a VPN as an expat in New Zealand. Without a doubt watching TV from your home country is most expats number one requirement. Living in New Zealand can be great no doubt but missing things like BBC iPlayer, ITV and other TV services from the UK is one of the biggest problems for expats. The same if you’re from another country and want to access TV services from back home. Online privacy is ever being eroded and with New Zealand being part of the spying network Five Eyes along with the UK, Canada, USA and Australia you can be sure your online habits are being monitored. Let’s not forget the risk posed by pesky hackers either who can utilise your personal information for criminal purposes. A VPN can help protect your privacy and limit the likelihood that what you do online is available to all sorts. When you’re out and about in New Zealand connecting to public Wi-Fi systems you’re putting your privacy at risk. Others on the same Wi-Fi hotspot could potentially see what you’re doing and in some cases even impersonate you on social media. A VPN will mitigate against this allowing you to browse privately while using public Wi-Fi hotspots. Overplay is our number one choice as an expat in New Zealand without question. One of our favourite features is the free SmartDNS service that comes with the package which will allow you to stream TV services from around the world without speed loss. New Zealand is physically so far from most locations using a VPN alone can introduce buffering especially when streaming in high quality, the free SmartDNS service will help you avoid that. Speeds on Overplay are some of the best we’ve seen and with servers in both Auckland and across the water in Sydney you’ll be able to protect your privacy with minimal speed loss. There’s also a 5-day money back guarantee if you’re not satisfied. IPVanish is also great to use in New Zealand and is our top rated VPN provider. Using IPVanish is extremely easy and they have well designed apps for Windows, Mac, Android and iOS devices that you’ll be able to operate even if you’re a beginner. Servers are available in Auckland for the best possible local speeds in New Zealand but if you want to tunnel out of the Kiwi jurisdiction then servers in Melbourne and Sydney are near enough to give you usable speeds. IPVanish has 5 locations in the UK that will allow you to stream British TV and there are 70 worldwide countries covered so you can stream content from most other locations too. ExpressVPN has servers in 94 countries which makes them one of the biggest VPN providers in the world. Their price tag is slightly more than the other options listed here but with so many server locations on offer you do get more for your money too. With so many server locations it means you can access TV services from nearly every major country. VPN servers are available in New Zealand so local privacy protection won’t be an issue and there are also nearby servers in Sydney and Melbourne. Our favourite feature of the service is the huge 30-day money back guarantee that essentially lets you test the service for an entire month and if you’re unhappy you can get a full refund. 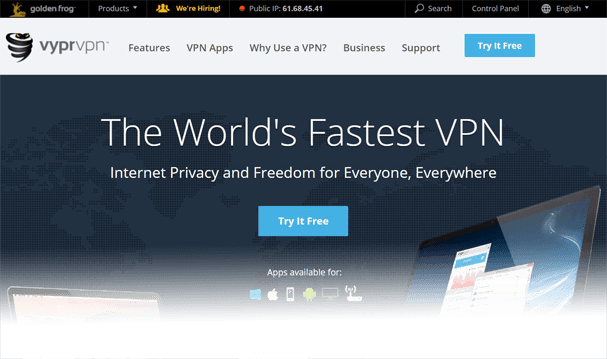 VyprVPN is one of the only VPN providers that offer a completely free 3-day trial. 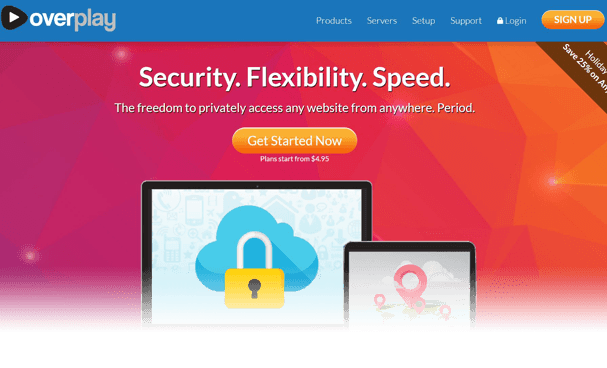 If this is the first time you’ve used a VPN service then the free trial will let you give the service a test to see if it’s suitable for your needs. The only drawback is you do need to enter your payment details so be sure to remember to cancel before the 3 days expire if you don’t wish to keep the service and you won’t be charged anything. We were especially impressed with the simplicity of their software and apps which span all major systems so getting connected and protected is easy. VyprVPN forward on copyright notices so they’re not really suitable for torrent use and you could lose your service without refund if you get too many copyright notices. 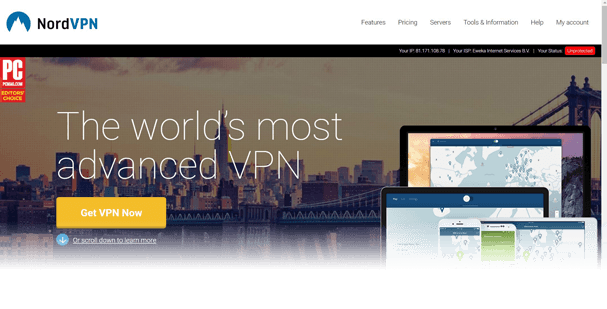 NordVPN has gotten very popular in recent years and if you’re an expat in New Zealand then they will make an ideal choice. With servers in over 59 countries across the world they’re great for accessing content from your home country. They also have servers in both New Zealand and Australia so protecting your privacy while retaining good speeds is definitely possible. They store no logs of what you’re doing while connected and services such as P2P are allowed so you can torrent in safety. We especially loved how they accept bitcoin payments which let you pay anonymously and they have a 30-day money back guarantee too.